Retro comics aren't for nerds! They're super cool! So with that in mind, add them to your college supplies and to your dorm room decor. 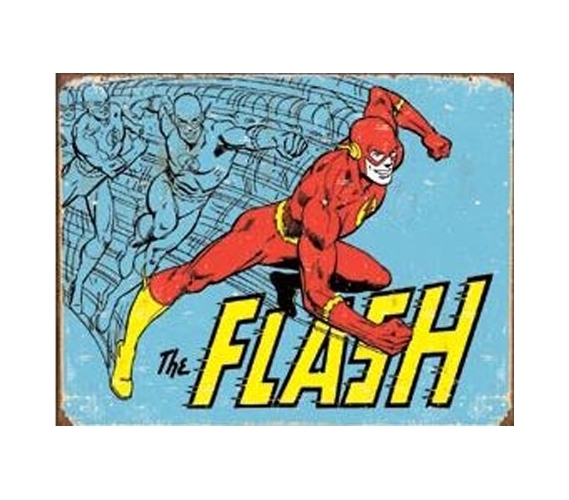 Include this The Flash Tin Sign as part of your dorm stuff to bring a unique dorm item and college decor item that has some character to it. 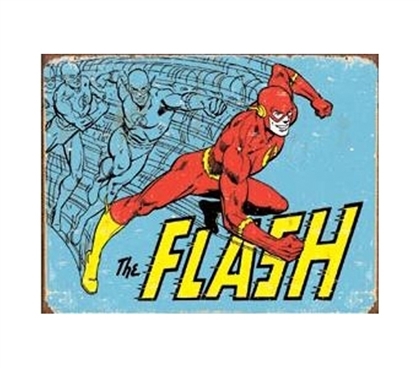 So even if the Flash wasn't your favorite superhero growing up (or if he was), you should include him as part of your dorm room wall decor. He'll quickly ensure you get lots of compliments on your college decor, since he is the Flash after all. All right, all jokes aside, add some cool dorm stuff and college tin signs to your inventory of college products.